Kat Byles is a Business and Creativity Consultant with 20 years’ experience working with entrepreneurs and global brands making a difference on a grass roots and global scale, including Homeless World Cup, Nike, UEFA, Vodafone Foundation, Good Energy, Beyond Sport, Eric Cantona, Desmond Tutu, Colin Farrell and Lewis Hamilton. Back in 2000 she founded Authentic PR, communication with integrity for businesses with a positive purpose, as featured in The Guardian, The Times and Director; and for 6 years was the Global Communications Director, Homeless World Cup where she grew the organisation from 20 to 70 nations positively impacting 250,000 homeless people. Here she generated well over $25 million in media coverage and was the executive producer for Kicking It narrated by Colin Farrell which was selected for Sundance Film Festival and sold to ESPN. She was also consultant to the feature film she initiated with Blueprint Pictures (Welcome to Sarajevo, Best Exotic Marigold Hotel, 3 Billboards outside Ebbing Missouri) and Film Four. 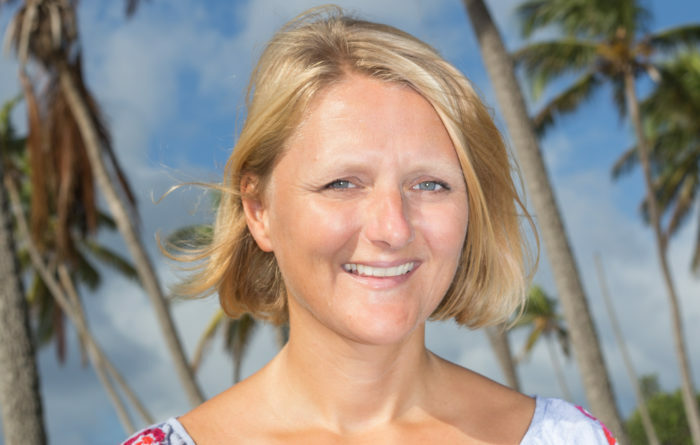 Then came the burn out and her intuition led her to Antigua in the West Indies accompanied by the question: how do you create positive global change and look after your own wellbeing? True Business, a groundbreaking business model with heart emerged as the answer. Whilst the traditional business model leads with profit, True Business leads with your creative spirit to align with your true nature and purpose and build the business you were born for. This leads to happiness, meaning, wellbeing and deep fulfilment, whilst making a difference and creating far greater financial returns. True Business has benefited over 200 entrepreneurs, changemakers, coaches writers, artists, teachers and healers in 14 countries including the PR with Heart Online Community with over 100 women making a difference to grow their visibility, audience and impact effortlessly. She is writing ‘True Business: unleash your creative spirit on the business you were born to build’ and lives in Antigua, where she runs The Antigua Retreat and Bath, England. If you’d love to connect, do get in touch.